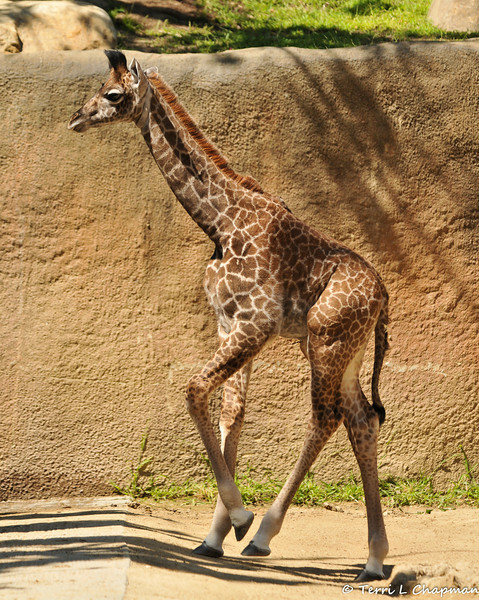 Sofie "The Baby Masai Giraffe"
In the Spring of 2013, the Los Angeles Zoo introduced a female giraffe calf named Sofie!! Sofie, weighing in at 135 pounds and standing six feet tall, was born on April 22, 2013. Zoo officials said this is the first baby for the zoo's female Masai giraffe, Hasina, fathered by Artimus. The Masai species of giraffe is found in East Africa, namely southern Kenya and northern Tanzania. All giraffe populations throughout Africa are under threat and are declining due to poaching for meat. Giraffes are not secure in the wild like most people think, thus the captive populations are becoming more important.